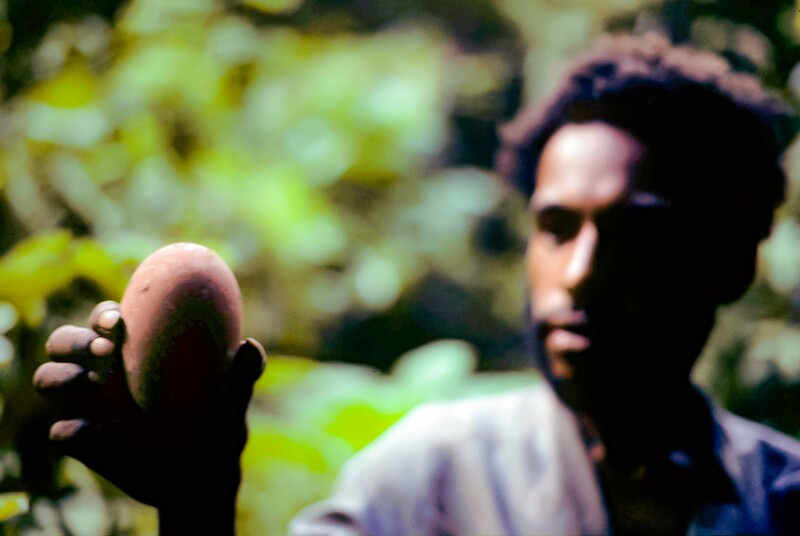 PNG, Egg And Tilot Non, 1983 - I was stuck in the remote village of Wava in the Highlands of New Guinea with no one to take me to the next village, Duranmin, five days away on foot. Tilot Non spoke some English and offered to help. He, Hapom and Teleng brought me across little-traveled rain forest successfully to Duranmin. Here, Tilot holds a bird egg that they found and we ate. They found several such eggs, buried in large mounds of earth.